It’s been a really busy week and it looks like things are only going to get busier. Aside from my very ‘pink’ card making classes on Thursday (looking forward to seeing all the gals!! ), it’s my second little boys’ 5th birthday on Friday!! Wow…. I can’t believe he is going to be 5. Of course I’ve totally gone crazy and decided to hold a ‘In doors camping party’ for him and 13 of his friends and brothers. Yep, I know what you’re thinking…. she’s crazy. I suppose I am. But look here is my thought process…. with a ‘In door camping party’ you a/ don’t have to worry about cleaning the house as it’s held in the dark and we’re moving out all the furniture in the living room anyways, b/ food is easy – hot dogs c/ and finally HOW MUCH FUN!!!!!!!????? I can’t actually work out who is more excited….. me or the kids. Now don’t panic… it’s not a sleep over, I’m not insane. I’ll let you know how it all goes…and of course the very important birthday card. Then the following week I’m off to Stampin’ Up! Convention with a couple of my downlines Lisa and Nat. It’s their first Convention and I’m really excited for them – and I’m just super excited about Convention anyways. It’s going to be cold in Canberra though (where it’s held this year), so I’ve been off today buying new leather gloves and a very cute hat. Even Chris confirmed the hat looked good on me…. so I’ll hear nothing bad about the hat peoples. Now onto the card today. As soon as I saw that bicycle stamp in the Autumn/Winter mini I knew I must have it. Oh yes, it will be mine, oh yes it will be mine! It’s the Hostess set called ‘Pedal Presents’ which means you’re only eligible to purchase this set if you put in a qualifying hostess with an order of $300 or more. That seem a lot?? Maybe you can hold a Catalogue Party where you gather orders from you and your crafting buddies and then as you’re the one doing the organising, you get to keep the $50 of free products – just of taking orders!!! The Hostess sets are at a special reduced Hostess $ price, so you get more bang for your buck. Email me on carolynb@adam.com.au to find out more info on this. I got direct inspiration from casing a card I found on line from this site: http://www.craftsy.com/project/view/Bicycle-Balloons/10538. 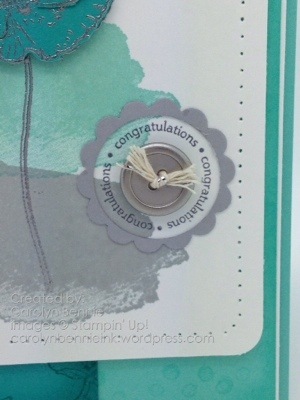 I’ve then used the Stampin’ Up! punches, Bakers twine and Stamp Sets to make it work for me. Of course heart Crumb Cake card stock…. and I’m feeling back into my groove with Crumb Cake. Now on other exciting news, I’ve been giving my Facebook business page a bit of a overhaul …. I’ve got lots going on there and some challenges and give aways planned in the next little while.. so if you haven’t already LIKED my Facebook page, head on over there and join in the fun. 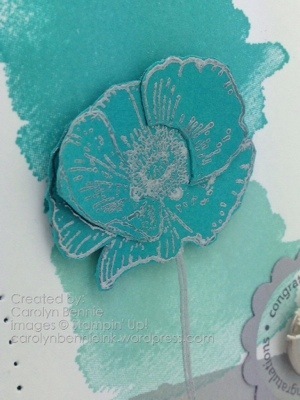 This is how you find me… the page name is Carolyn Bennie – Card Making, Stamping and Scrapbooking. 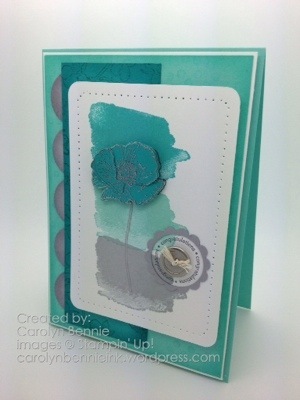 The address is: https://www.facebook.com/CarolynBennie.StampinUp. The more Likes I get the more give aways I’ll be able to do …. so tell your friends. Posted in Congrats and tagged Adelaide Hills Card Making and Scrapbooking, Adelaide Hills Craft, card making easy, Carolyn Bennie, South Australia Stampin' Up!. Bookmark the permalink.